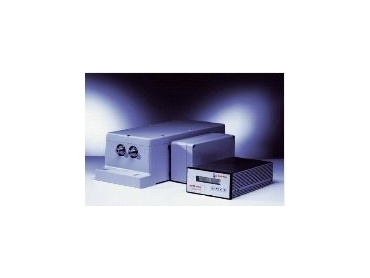 Process density measuring system from Anton Paar. BIODIESEL blending undertaken at a tank farm in Lobau, Austria, is using a unique density measuring system from Anton Paar. The tank farm is run by the Austrian petroleum corporation OMV and covers an area of more than 1km2, making it the largest tank farm in Austria, with storage facilities for approximately 1.63 million m3 of crude oil, additives, semi-finished and finished products. The finished products are blended on site and loaded into truck tankers, railway tank wagons, ships or transported by pipeline. Since October 11, 2005 between 4.4% and 5% biodiesel is added to conventional diesel in Austria following an EU guideline which states that the proportion of biofuel in diesel has to be 2% by 2005 and 5.75% by 2010. Diesel fuel with added biodiesel is tax privileged by 0.5 Euro Cent per litre, whereas the taxes for conventional diesel has been increased by 2.3 Euro Cent. The added biodiesel FAME (fatty acid methyl ester) can be produced from rapeseed oil, other vegetable oils, waste oils or animal fats and oils. At present, a large amount of biodiesel is purchased abroad because the Austrian supply cannot meet the demand. From 2006 a third of the Austrian demand for biodiesel will be covered by a new biodiesel plant at the Viennese oil port of Lobau. Around 95,000 tons of biodiesel will be produced there annually. Conventional diesel and diesel with biodiesel content are produced alternately in the blending unit. The maximum production capacity is approximately 1400 m3/h. Conventional diesel is produced from different mineral oil components, which are supplied by the refinery and stored at the tank farm at Lobau. The recipes for the blending program are integrated in the optimisation computer. The production planning department selects the amounts of components, the component tanks and the storage tanks for the finished products. Before and after the addition of FAME the density of the diesel is measured continuously with an intrinsically safe density transducer DPRn 427 I and an evaluation unit mPDS 1000 I from Anton Paar, who are represented in Australia by B-R Controls . The results are recorded automatically. A bypass with a pump leads the diesel from the product pipeline to the nearby analysing station, which houses several measuring instruments. Each blending batch is documented with a complete online analysis certificate, including the density value compensated to 15°C. Thus, density measurement from Anton Paar is an essential contribution to the quality assurance of these diesel fuels. The finished products are stored in tanks, from where they are pumped to the loading facilities. At the loading stations the density of each product (diesel, diesel with added biodiesel, export diesel, two types of premium gasoline, regular gasoline and extra light heating oil) is measured again. At the truck loading facility and the tank wagon loading facility, process density meters from Anton Paar with type approval for fiscal metering are in use to guarantee correct clearing according to the regulations.